We have other Christmas inspiration to share! 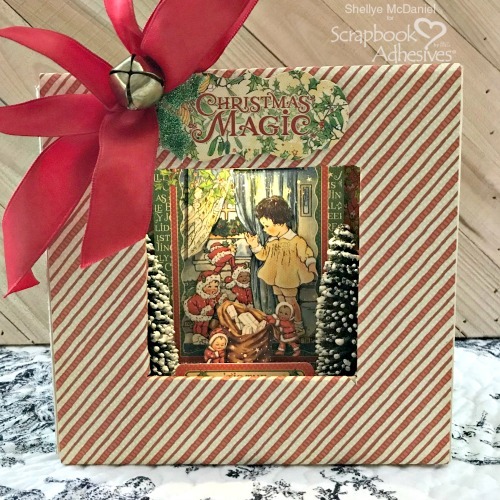 From the moment that I saw the Deep Square Matchbook Box, I knew that I wanted to make a light-up Christmas Diorama coupled with the sweet Christmas Magic Collection. To begin, I traced a battery-operated tea light onto the top (inside) of the box and cut out with a Xacto knife. Next, I used the Extreme Double-Sided Tape 1/4″ around the base of the light and inserted it into the hole. To cover the box, I used one of the red/cream striped papers from the collection kit and adhered it with Extreme Double-Sided Tape 1/2″. Make sure to create an opening in the front of the box. For the fun part, I cut apart matching journal cards and layered the cut-out portion to the full rendition with 3D Foam Squares White Mix. Two bottle-brush style trees were added to the inside with Adhesive Dots 3D. When I want to turn on the light, I simply slide the box out and flip the switch! Adorable in a child’s bedroom or end table and what a fun conversation piece! 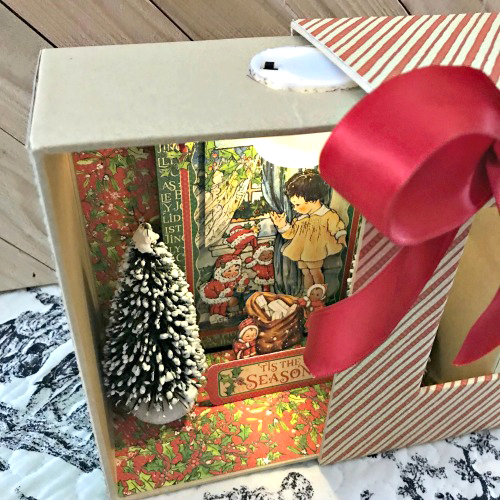 On my blog, I have a step-by-step tutorial so CLICK: Christmas Diorama Shadow Box Project. 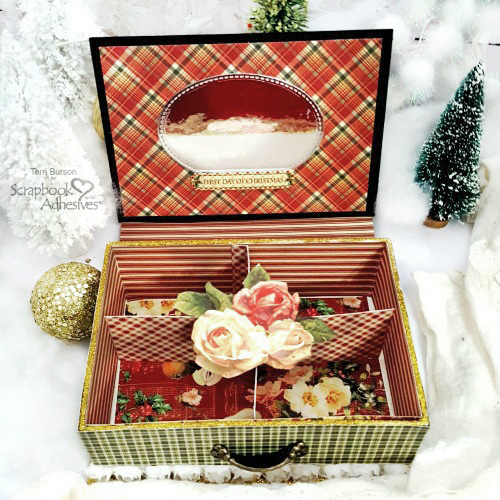 I created this lovely decorative box with compartments for storing your favorite keepsakes, craft supplies or jewelry. 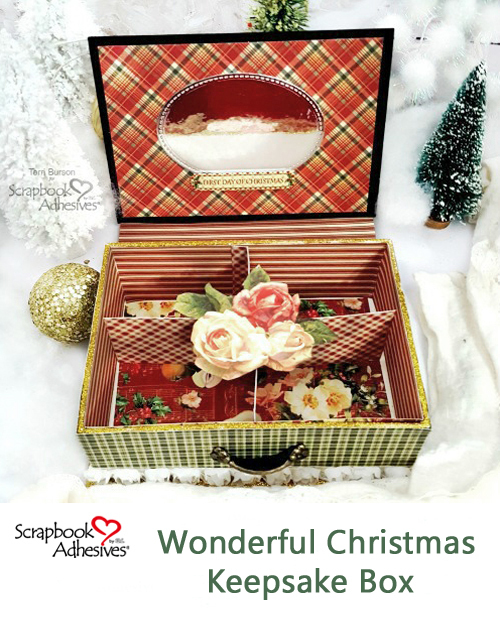 The beautiful patterned papers from the Twelve Days of Christmas Collection were used to cover the Ivory Book Box. I fussy cut some of the rose clusters and decorated with my Dual Tip Glue Pen and crystal glitter. I also added a chipboard button embellishment with burlap string, using the 3D Foam Circles Black Mix for my button layers. All of my paper was trimmed and adhered with my E-Z Runner® Grand Refillable Dispenser and inserted E-Z Runner® Grand Ultra Strong Refill. 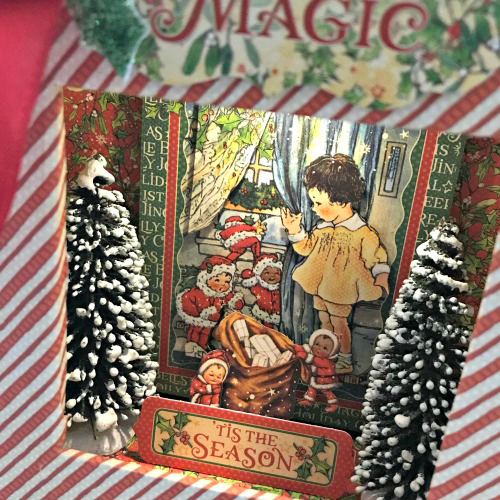 Inside my box, I created a faux mirror, using the silver foil in the 3D Foam Creative Embellishment Kit and running it through my die cut machine with an oval-shaped die. A sticker is adhered just below the mirror, popped up with a strip of Crafty Foam Tape Black for added dimension. Additional glue from my Dual Tip Glue Pen is used to edge my box, with gold glitter generously applied. 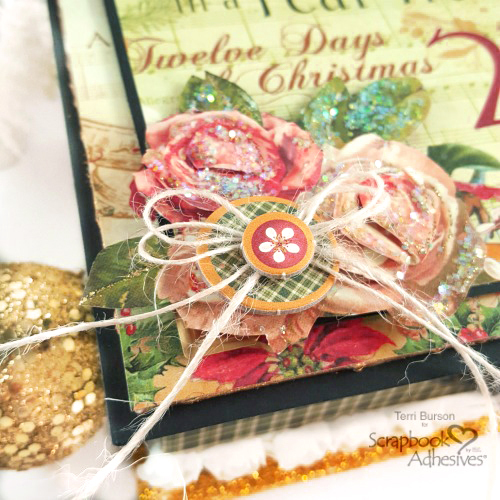 The final accents to my decorative box are the Graphic 45 Antique Metal Door Pull, plus mini floral ribbon wrapped around my base. To enter to win, click through the Rafflecopter App. Winners will be randomly picked. We love to hear from you! 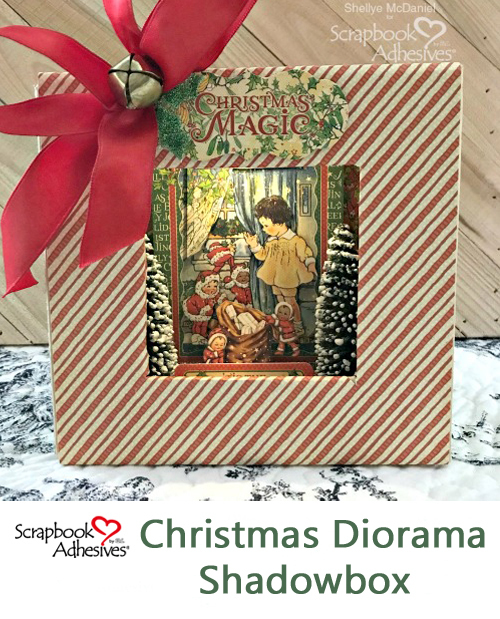 If you cannot see the comment section at the bottom of this post, please CLICK: Christmas Diorama and Keepsake Box with Graphic 45 and scroll down to the bottom of the post. This entry was posted in 3D Foam Circles, 3D Foam Shapes, 3D Foam Squares, 3D Projects, Adhesive Dots & Lines, Adhesives, Advanced, Altered Art, Crafts & Tutorials, Crafty Foam Tape, E-Z Runner® Grand, Extreme Double-Sided Tapes, Gifts, Home Decor, HomeHobby by 3L, Intermediate, Metallic Transfer Foil, Mixed Media, Permanent Adhesive, Seasonal Craft Ideas, Skill Level, Wear your Adhesive on the Outside, Winter and tagged 3D Foam Circles Black Mix, 3D Foam Creative Embellishment Kit with Foil, 3D Foam Holiday Embellishment Kit with Foil, 3D Foam Squares Mix White, Adhesive Dots 3D, Blog Hop, Christmas, Crafty Foam Tape Black, Diorama, Dual Tip Glue Pen, E-Z Runner Grand Dispenser, E-Z Runner Grand Ultra Strong Refill, Extreme Double-Sided Tape 1/2", Extreme Double-Sided Tape 1/4", Foil, Giveaway, Graphic 45, Holiday, Home Decor, HomeHobby by 3L, Memory Box, Metallic Transfer Foil Holographic, Shadow Box, Shellye McDaniel, Teri Burson. Bookmark the permalink. 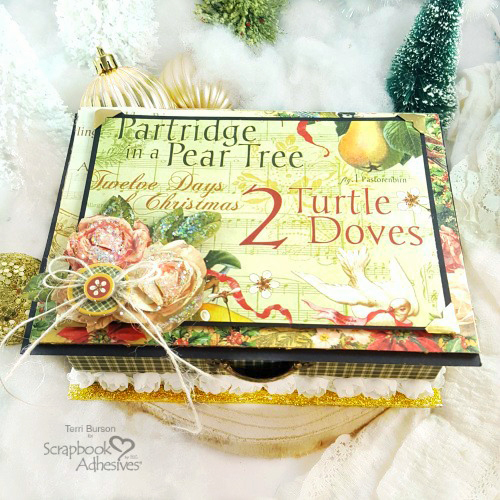 7 Responses to "Christmas Diorama and Keepsake Box with Graphic 45"
I absolutely LOVE that Shadowbox here. Love the idea with the light build into it. I hope, it´s okay, that I “borrow” that idea? I really love the look of it. Ofcause I also like the other box a lot, it´s just gorgeous, and b oth are reall Stunning work ladies, well done. Hi Maryann! Yes, please borrow…I’m so glad you love it 🙂 Thank you very much and Merry Christmas! The shadow box is fantastic. So much detail. Love the framing. away from all the inside goodies. Fabulous projects. I really like that the first one lights up. This shadowbox is so cute, I would LOVE to make one. The little girl is really cute.